We are rolling out the royal treatment this week, in honor of Queen Elizabeth's Diamond Jubilee! When I had to request which Tiddly Inks image I would work with, this little cutie just jumped right off the screen and yelled, "hey, pick me!" Isn't she just adorable? Her name is Wryn, and that little frog even has personality! So, bring out the gold and the sparkle and the jewels and play along with us this week at Party Time Tuesdays! You can find all of the information HERE for this week's challenge. Happy Monday, everyone! 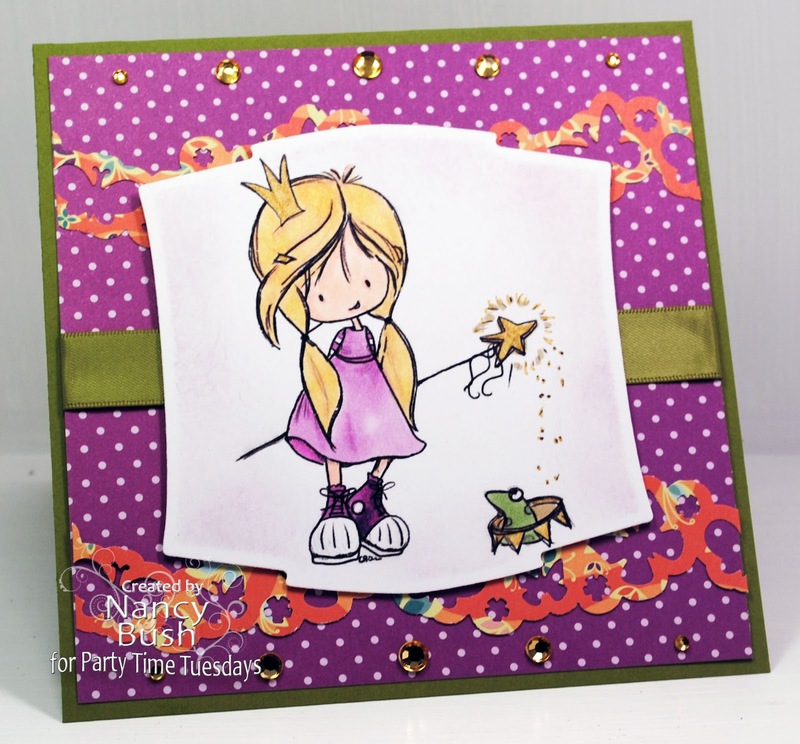 We have another fun challenge for you this week at Paper Pretties--it's time to bring on the bling! 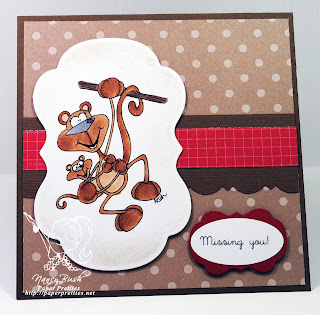 I just knew that I had to use this adorable Prima paper when I saw this week's new image! He is a cutie! 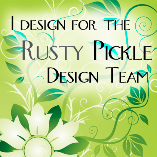 I have a little bling on there, so even a little counts! 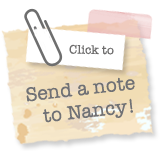 If you would like to play along this week, you can find all of the information and inspiration HERE. 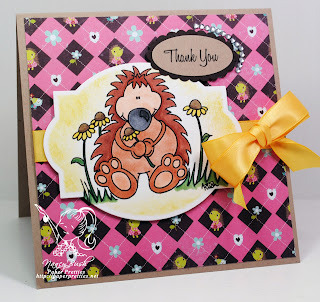 I chuckled a little when I saw this little cutie...I thought the title should be "mum's the word" because of her lack of a mouth! Too funny...I know, I have a weird sense of humor! We have our popular Anything Goes challenge this week at Party Time Tuesdays! 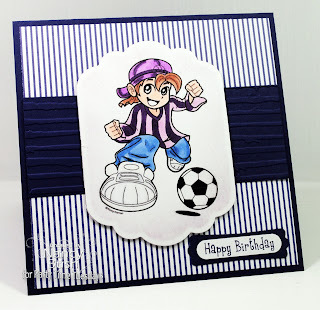 In addition, I've used the sketch from this week's Sketch Saturday - #209...it was fun to add some texture and shape to this card! 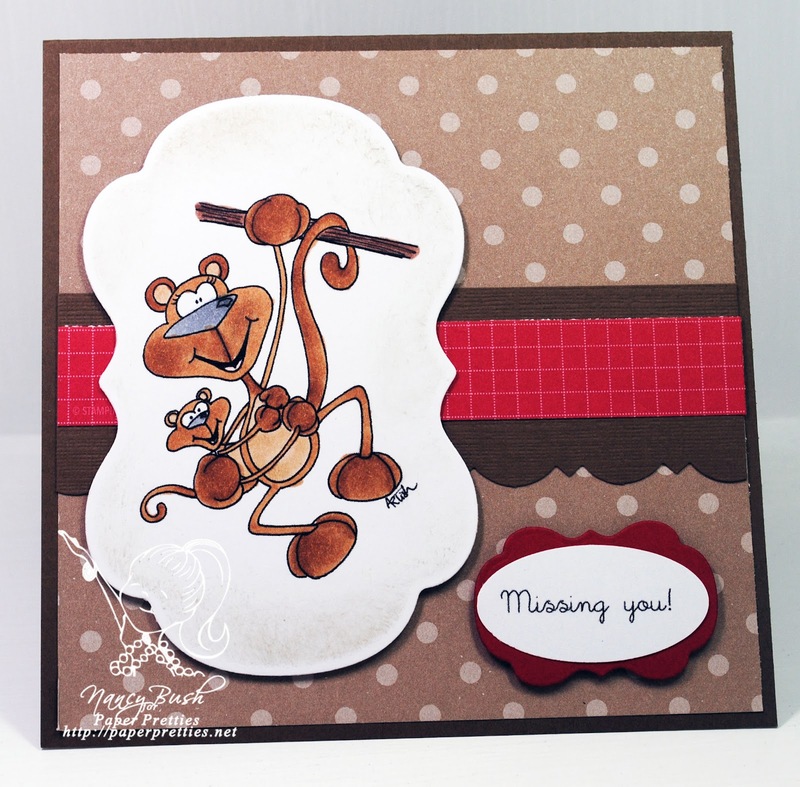 If you would like to join us this week at the party, you can visit HERE for more details! Thanks for stopping by today! It's that time of year again...so many fresh young faces graduating! Whether it be from preschool, kindergarten or college, it is all excitement. Today, we have this little cutie from Fawn to debut today. I've paired her with an older sentiment from Seuss Truths, and it says, "Today is your day--your mountain is waiting." I love it!! When you graduate, you feel like you are faced with a mountain, but you are so ready to climb it! What feelings at that time! 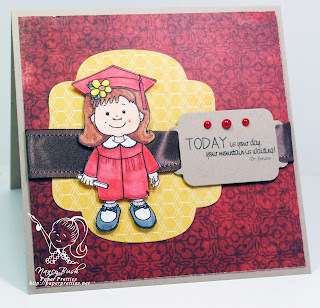 If you would like to join us and make your graduation card, please visit HERE for samples and more details! If you would like to join us and check out our awesome sponsors, you can visit HERE for more details! 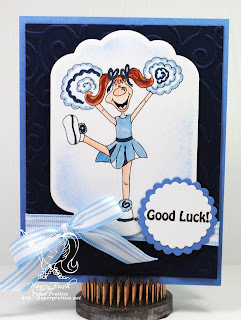 Bust out your school colors and join us today...it can be any school, so no worries! 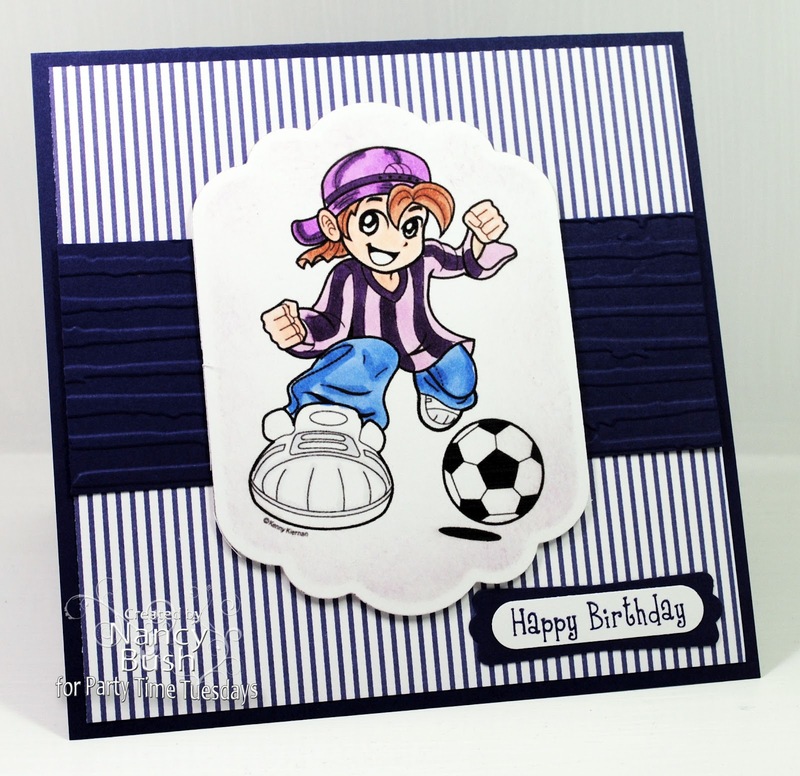 Check out the samples and details HERE for some inspiration. Or, just take out an old yearbook and relive the golden years! You know what they say about being a day late and a dollar short? Well, that would be me today! I'm so sorry! Life is crazy here...AGAIN! I don' think that I can win! 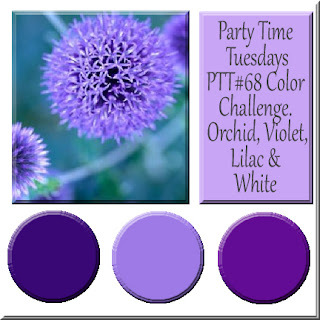 This week, we have a photo and color challenge at Party Time Tuesdays. You can see the pic and the colors above. I had a difficult time, but this should be proof positive that everyone can use the above challenge and be able to make a successful card! If you would like to join us this week, you can find all of the details HERE and upload your card! Things with Wings - Bugaboo challenge! Some of the Paper Pretties team joined the Bugaboo team today to bring you things with wings! I couldn't resist this little guy, and I added some butterflies to his birthday cupcake! 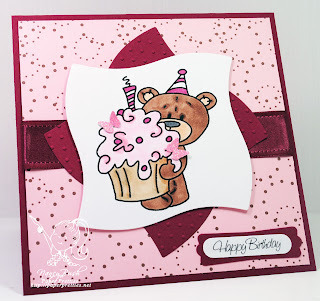 Teddy Cupcake is his name! 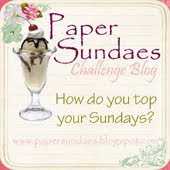 If you would like to join us this week in this fun challenge, please visit HERE for more details! 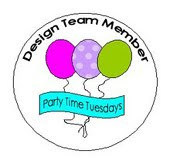 Welcome to the party this week at Party Time Tuesdays! We have some amazing sponsors this week, and our challenge was to craft a card following the challenge -- "mum's the word." 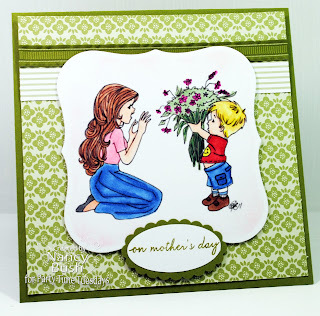 It's a perfect time to make that Mother's Day card!! 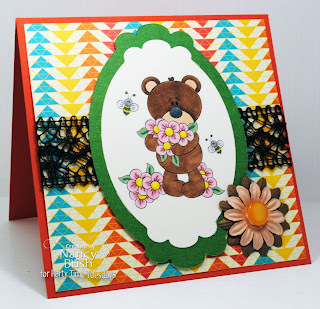 I was able to work with this adorable image from Elisabeth Bell, and I don't think it could get any cuter!! I just love that little tummy hanging out! 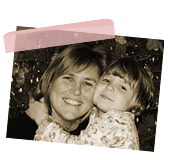 If you would like to join us this week, you can upload your photo HERE. Don't forget to follow all of the rules for the challenge, so that you will be eligible to win a prize! Just another manic Monday! Yes, it is, but I'm alive, and that is a good thing! Just kidding! Well, I am alive, but you know! Today, we have a challenge to use ribbon...notice that I don't have any ribbon on it? Well, I was making 6 different cards yesterday trying to get ahead on some challenges, and I just messed a whole bunch of stuff up! It was crazy! I will just pretend that the strip of red paper is just paper ribbon!! See, I can make it work! 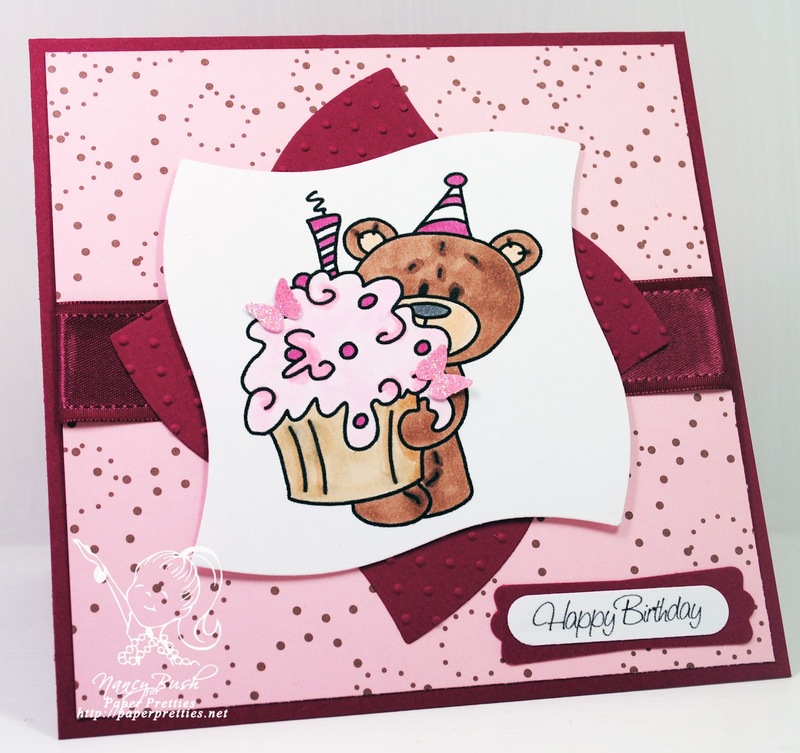 If you would like to join us this week and see the cute releases from Paper Pretties, please visit HERE. Thanks for stopping by today!